There is nothing more engaging to me than having a conversation with a three, four, or five-year-old. And I do mean a shared conversation—a two-way dialogue that travels wherever our thoughts take us. Children of all ages enjoy talking with the adults in their lives. And it is one of the most natural things we adults do with the children in our care. Often, we don’t even think about it—it simply happens. Children like to talk about themselves, or about what they are doing. They talk about things that are familiar to them, and that draw upon their knowledge and experiences. They tell make-believe stories and talk about things and events they cannot see; events that have already happened; or events that might happen in the future. It matters not what they are talking about. What matters is that they are engaging in conversation and in the process, they are building important language skills. These language interactions are the basis for building children’s understanding of the meaning of a large number of words, which is a crucial ingredient in their later ability to comprehend what they read. Children need practice having conversations with the important adults in their lives. By our talking with them, they build their speaking and listening skills. They will use language to ask questions, to explain, to ask for what they need, to let people know how they feel. And they will learn to listen while others talk. We can help children build language skills through our own language interactions with them, and by setting up an environment that gives children lots of reasons to talk, as well as things to talk about. How we talk with children matters. It’s important that our language interactions are the kinds that give children practice hearing and using rich vocabulary; hearing and using increasingly complex sentences; using words to express ideas; asking questions about things they don’t understand. How do you interact with children? Who does most of the talking? Whose voices are heard the most in the classroom or in a child care setting? The child should be talking at least half the time. There is a real difference between talking with children, when the conversation is shared, and the adult listens, versus talking at children, where the adult does all of the talking and the children listen. What kind of language do you use? Is it rich and complex? Do you ask children questions that require them to use language to form and express ideas? The richest talk involves many “back-and-forth” turns in which the adult builds on and connects with children’s statements, questions, and responses. 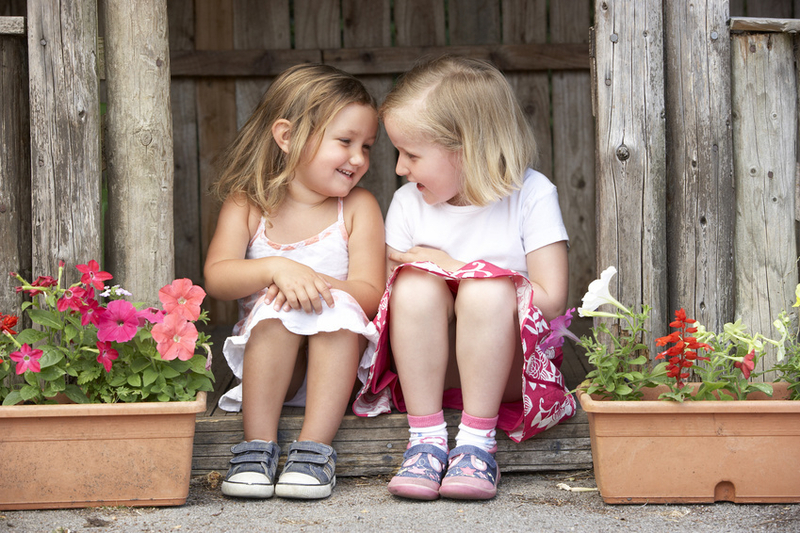 These extended conversations help children learn how to use language and understand the meaning of new words they encounter listening to other people. Talking one-on-one gives the adult a chance to repeat (say back), extend (add to), and revise (restate) what children say. Children have the opportunity to hear their own ideas reflected back. This is powerful stuff for a preschooler! And, it goes a long way toward helping a child feel competent and confident. Narrating what children are doing is another way for adults to not only introduce new vocabulary, but also encourage a deeper understanding of new words so the children can begin to define and explain the meaning of these words. Narrating also introduces and illustrates sentence structure. Describe (using verbs, prepositions, adverbs, and other descriptive language) what children are doing while they do it. Talk during formal activity time, at snack, clean up, outdoors during play—every setting during the day. And, follow up with conversation about what children did during these activities. Talking with children makes a difference! Are you making time to talk? This entry was posted in Early Childhood, Early Childhood Leadership, Early Childhood Teachers, For Early Childhood Directors, Managing Early Childhood Programs, Performance Management Skills, Training for Early Childhood Directors. Bookmark the permalink.